After a long [and slightly painful] process, my dolce vita laminate countertop has been chosen, ordered, installed, removed, reordered, reinstalled, and is now perfect! Here are the countertops installed with my custom glass backsplash. First, the seam was not in the location of the counter that had been discussed with me. I knew that the counter had a very very busy pattern. I was very adamant about running the pattern all in one direction to avoid having too noticeable seams. But– it was manufactured with a giant diagonal seam across a huge part of the L-shaped counter that shouldn’t have been there (top photo). 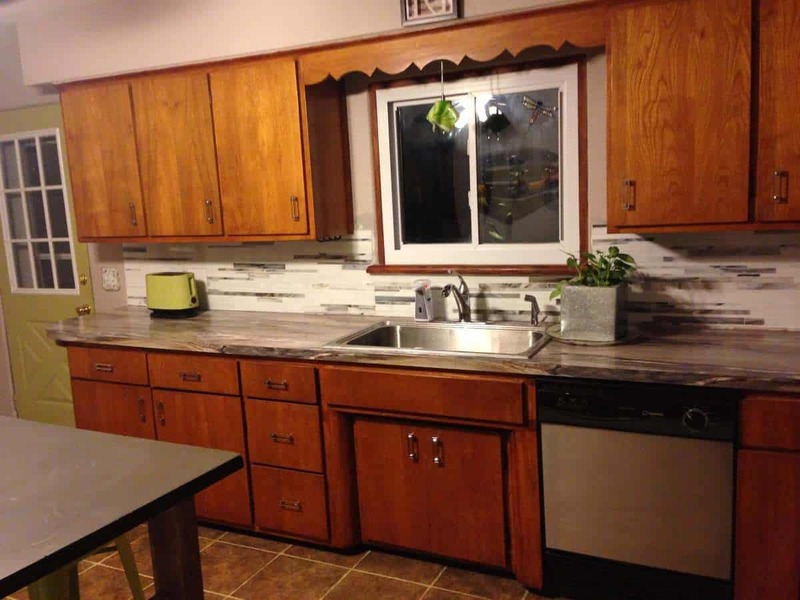 Second, the original laminate counters in my kitchen were done with an “apron front” — which basically means that the countertop fits over the cabinets like a shoe box lid, rather than resting right on top of the cabinets. They didn’t notice the apron-front, and set the new counters right on top of my cabinets from 1957. This left a lot of unfinished pieces of cabinet showing, and gapping above my dishwasher (photo 2 and 3). To top it off, the way the countertops were set completely messed up the custom backsplash measurement (yes. already ordered). 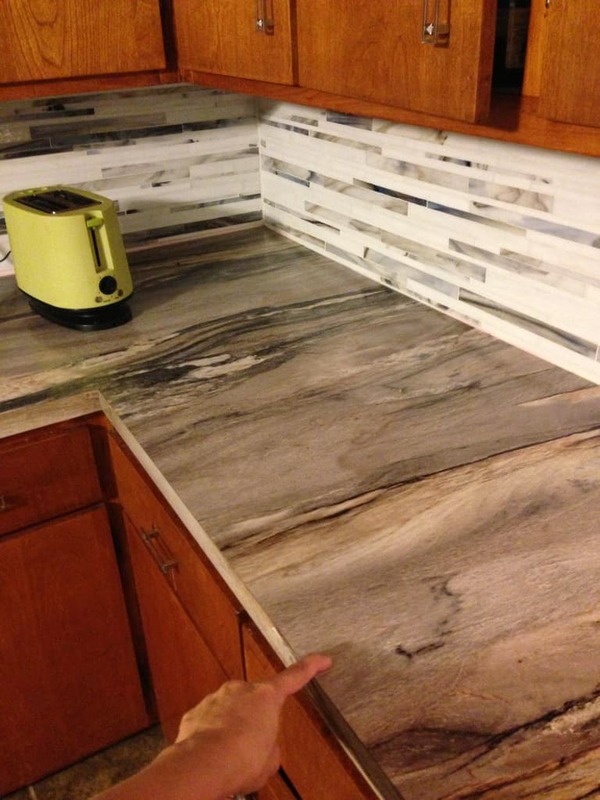 Instead of the backsplash height being 16″ as I measured, it was now 15 1/4″. Once you see my tile you’ll understand why I couldn’t just trim it to fit :). Here are some photos of my “bad” countertop. All of these problems were remedied with the reinstall, but held up my schedule for over 8 weeks. Sadly, after discussing these major problems with the countertop installers (I will tell you their name if you ask me for it, but since the problem was corrected I will not reveal it publicly), they decided that none of my issues were problems, and basically hung up on me. So, I ended up having to write a detailed (4 page) letter explaining every issue along with every person involved, and copying the corporate headquarters of the company. After the letter was received by the headquarters, they were instantly back to my house to remeasure and redo the countertop manufacturing and installation. Another 6 weeks later, and my new- new countertop has been reinstalled. The new one is fabulous and I couldn’t be happier! Here are some updated photos of the new countertop installation. You can see in each photo how the problems were remedied. 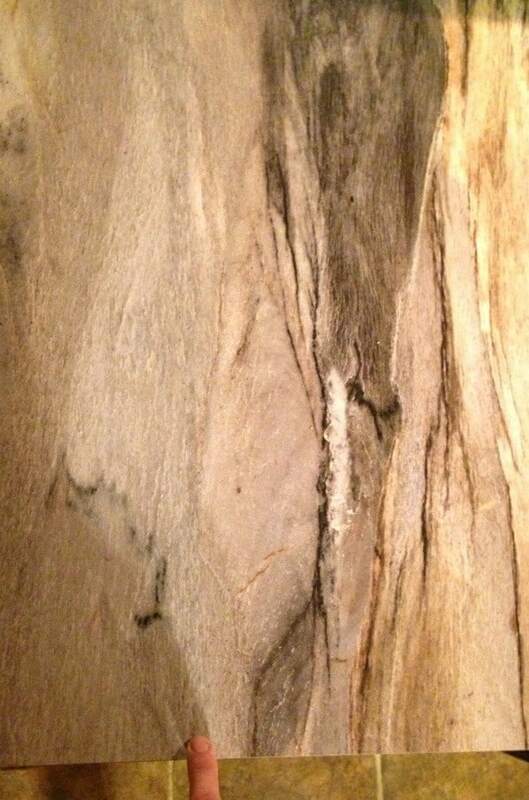 Per request, here’s a photo of the edge detail for this countertop. 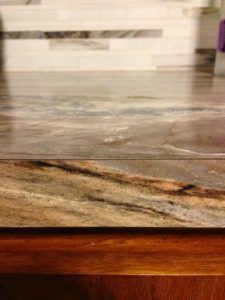 Laminate countertops come in all different types of edge profiles (although I’ve found that once you get into fancy edging the price goes way up). I just got the basic edge veneer because of the curve near the left of my countertop in the picture above. 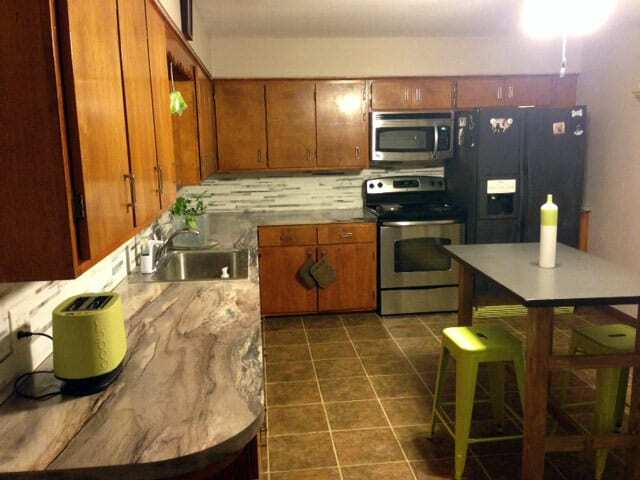 I’ve had a few inquires for closeups of the seams on the countertop. I did my best to take some photos of them. In some instances they are so difficult to see I actually used my finger to point them out to you. Hope this helps! These are the seams that are currently in my countertop — AFTER it was reinstalled. 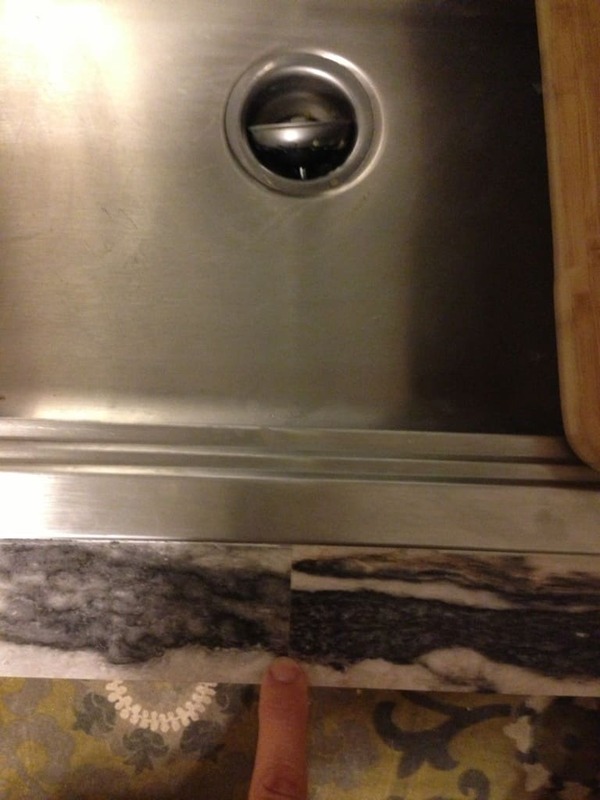 Here’s the seam at the sink. After a few huge mishaps, I love my new countertop. These types of renovations can be tough to deal with. Make sure you are very clear with the contractor about what you want. Write it down, draw it, make them sign it. Ask questions, answer their questions. Check the counter before it’s installed. And… if they still do it wrong, make sure they fix it. Contact them and explain the problem (be nice!). If they don’t respond to the nice guy, send a detailedletter explaining every issue along with every person involved, and copy the corporate headquarters of the company. This will get their attention really quick. And, in the end, you will be happy and feel accomplished! 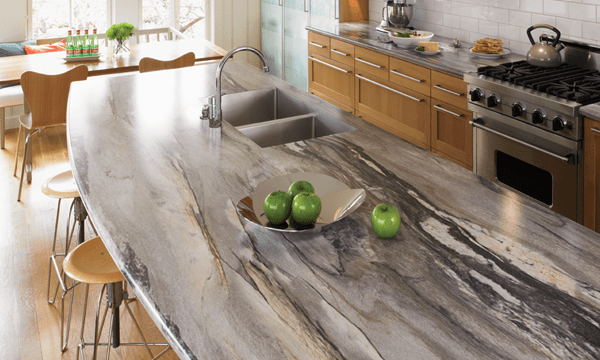 Dolce Vita is a beautiful countertop. It’s grey. The photo at the top of the post (with the apples on the counter) is a very accurate representation of what it looks like in real life. I know some of you are trying to like it, but I can tell that it’s not for you. Be true to yourself. If you are so picky about the tone of the color and the shade of this and the shadow of that, you may need to pick a different counter. If you want something really bold that will go with a lot of different colors, this may be the right choice. Make sure you choose a neutral backsplash if you go with this counter, though. Try a white subway tile! Thanks for reading and please comment if you have any questions or something new to add! 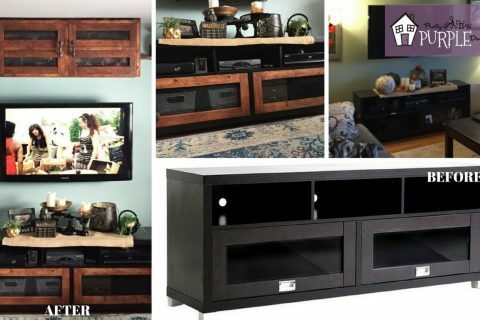 New doors from cheap furring strips and gutter screens (of all things) turned this modern media stand into a more rustic piece. 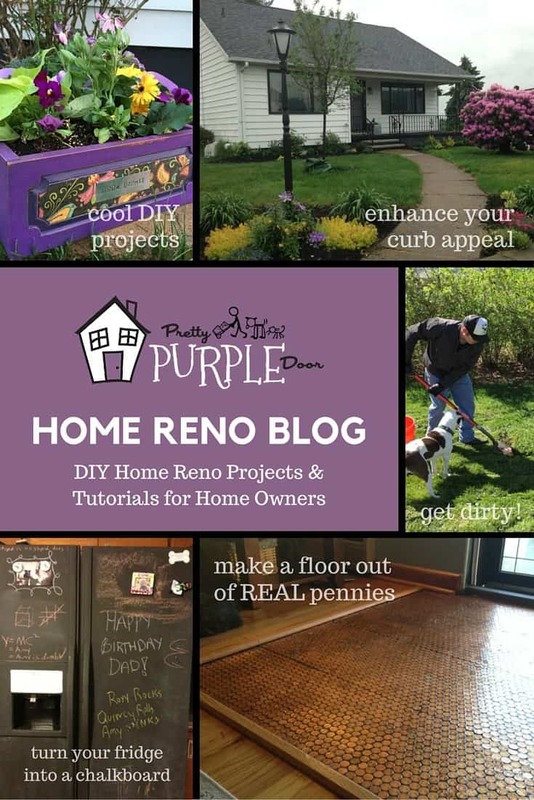 Have questions about your penny project? Here I’ve compiled a list of the MOST asked questions and my answers to make sure your penny project is done right and lasts forever! Mother’s day is right around the corner. 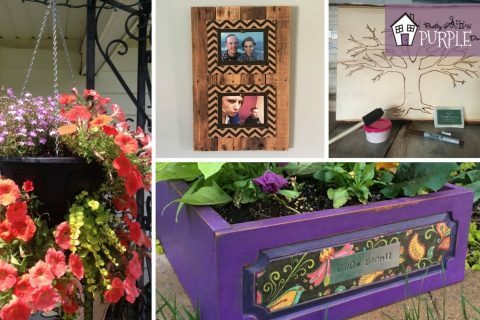 Check out some cool DIY Mother’s Day projects that you can make for or with your mom! Glad you found the post helpful. The countertop does have a lot of rust colors, greys, and some charcoal in it and I personally think it would look great with the bronze. But… everyone is different. It would look great with most anything because of how many colors it has. Hi Anita, thank you. It’s glass tile custom created at mixed up mosaics. They are located in New York City. I have been looking at Dolce Vita for my new kitchen and I love your pictures. I have an A4 sized sample of Dolce Vita and it does look more grey tones than anything else and I really wanted more brownish, deep reddish (claret) tones. Your Dolce Vita looks like the colours I want. If it’s more grey than brown/wine red, then it won’t work with my colour scheme. Is the colour really like your photos? i.e. brownish/deep reddish/whitish/violetish tones. I know photos, reflections, screens can change colours so I’m a bit nervous about “pressing the button” . If I had to choose one color that this countertop is, I would say grey. I’m not sure really how to help you. Yes, it has violet and deep black, brown and red/orange highlights as well. But the counter is definitely grey. We just had the dolce vita countertop & bar top installed. The design is gorgeous. We stressed to Lowes we wanted all lines running the same way without seams and that’s exactly what we got. We are pleased with the entire job. Hi Linn — Thanks for stopping by. You make very good points. And the Dolce is really beautiful… it was worth the effort, no regrets. 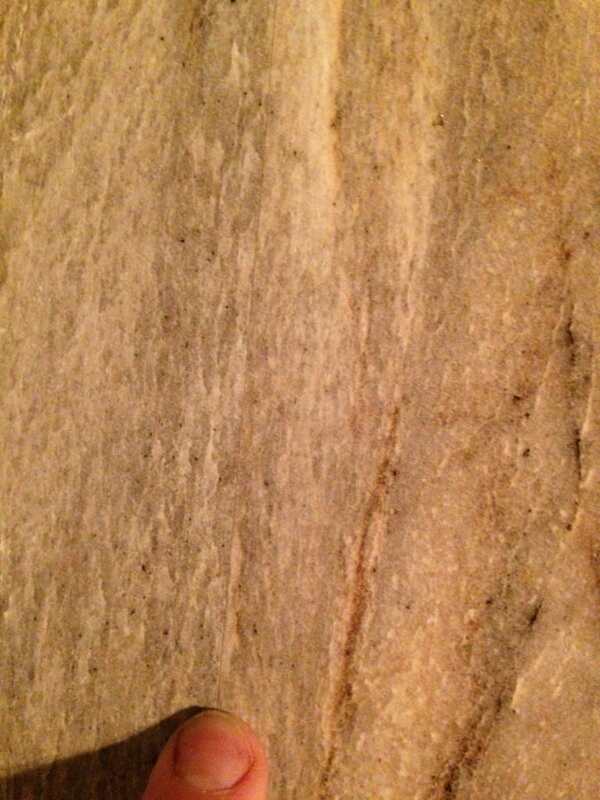 Our countertop (Dolce Vita) was installed yesterday and I was very disappointed with the overall colour effect.. The walls in our basement office were painted a silver/grey and the countertop appears mostly in the brown tones with the grey “swirls”. I was expecting an “off white, misty grey and charcoal” as described. The small sample I saw was this colour.. Did anybody else find this? what color did you paint the kitchen? My kitchen is painted Donald Kaufman DKC-62. You can see all the colors I’ve used in my house here. Hi. Now that you’ve had the counter for a while..are you still happy with it? I think we’ve settled on the Dolce Vita, but still haven’t decided on the edge..i’d love to know your thoughts. Amy, we are getting ready to have laminate put in and, like you, I do NOT want a corner seam! Wondering what installer you went with. We were planning tentatively on Home Depot. Hoping it wasn’t them who were not responsive to your complaints. Glad when you went “higher up” it was resolved. Will plan to get some of those critical ( to me ) points in writing. Please let me know the co. you went with. Thanks! Jan 2013. Yes I like it very much. I tried to gather some photos you can see them here: https://goo.gl/photos/ijznYGbe7zF7QgjV7. It would like nice on an island or an accent as well. Personal preference. Thanks for reading. halleluyah ,im not crazy!I had the same worries and although Ive had experience in renos,fabricators were acting as if Ime crazy for not wanting a seam at the corner of my golden Mascarella countertop because they wouldnt garantee a perfect seam.and asked for an insane amount to make it for me.I did get a deal on the fancy edge and the seam will be behind the slide in stove.Im wishing that it looks as good as yours does.wishme luck! 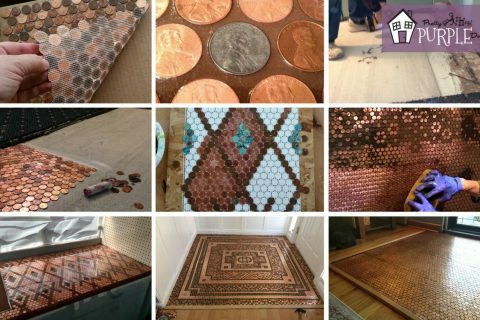 How did your countertop come out? Pictures??? I really appreciate you being so candid about the counter top installation process. It is really helpful for the rest of us stuck in the middle trying to figure out the best way to approach things. The pictures really do speak volumes. Your kitchen looks great! I will definitely get a rendering to go along with the contract. Would you mind sharing your source for the counter tops with me? Was it a contractor through Lowes? I was wondering how did the eliminate the seam? Also does it have the front brown seams that most formulas have ? I am planning on getting the dolce vita laminate countertop and was concerned about the mitred corner looking bad. Can you post a picture of how the seams were done so I can show it to the contractor. I don’t think they have ever cut the countertop the way you have shown it. It looks fantastic. Can you recommend a website where this type of cut is done? Also what type of backsplash tile did you go with? At the bottom of this post I put 4 photos of the current seams for you. Hope that helps. Let me know if you have any more questions.